I bought one of the "china freight" tools 2 years ago when I was remodeling the house we bought in Milan, Mich. There were a number of problems that this tool made so easy to work through rather than some major tear out and rebuild. 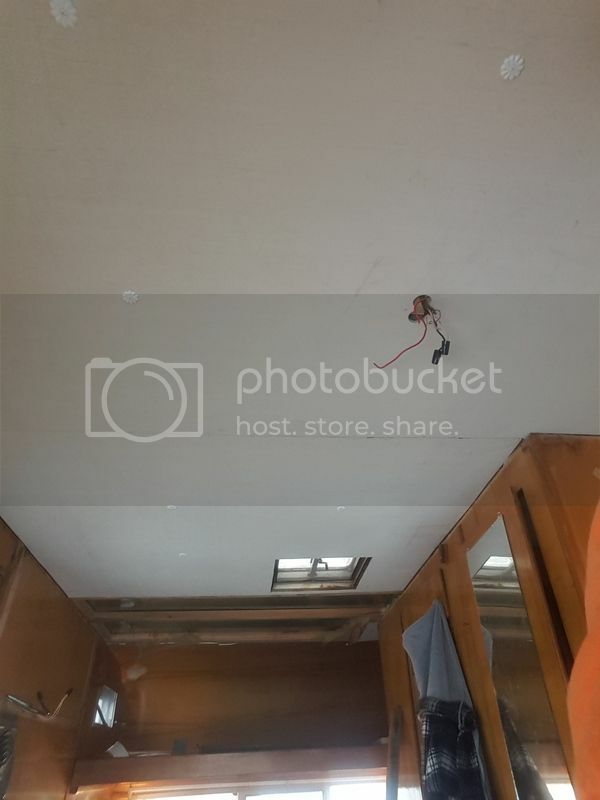 When remodeling our main bathroom a few years back, I bought a high quality model and that one tool alone (to me) was handier'n zippered fly in my pants and a button on a shirt! And as others here have posted about them, they're good for uses on an almost infinite number of projects. Personally, whether one is a carpenter, mechanic, welder or whatever (or all the above), I don't think one can own too many (hand or powered) tools. Like Steve, I bought a sears battery powered one when we put new flooring in our house. Have used it for several small projects since. Like Carson, I picked up one from Harbor Freight because I wasn't sure if I would like it or use it much. That sucker is as handy as a Dremel tool, but for the heavy-duty jobs. The more you use it, the more ways you think up to use it. Had a HF one for about five years. Can't use it for everything, but sure comes in handy, especially when redoing old trailers. The tool I bought is not the link I posted, like you and others I was not sure I would like or use this tool so I bought a $30.00 dollar china tool, I now wish I bought the one shown for another 30 bucks, it has quick connect blades and variable speed which mine does not, Oh well, still happier than a southerner asking "If I divorce my wife is she still my sister ???" I picked up one of the Harbor Freight versions of the Multi Tool and it works great for the few small jobs I had for it. It is a handy addition to the tool box. 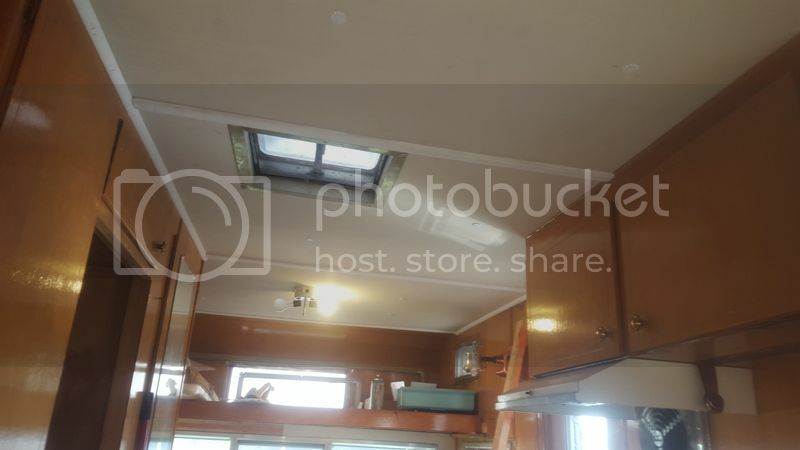 Love it It's a life saver in the camper project ! 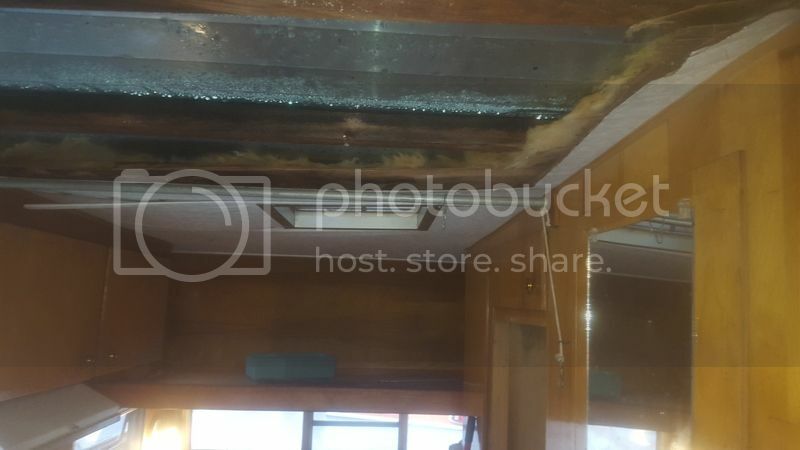 Used 1/4" plywood underlayment for the ceiling, worked very well, our good friend JerryU is also refurb'n an old camper and has been a big help with suggests and material info, also found several vintage travel trailer sites that have been helpful. Pretty much fixing this up for our kids,Grand kids and guest for down at our "private" camp site.